The biggest question mark for football this upcoming season is at the tailback position. 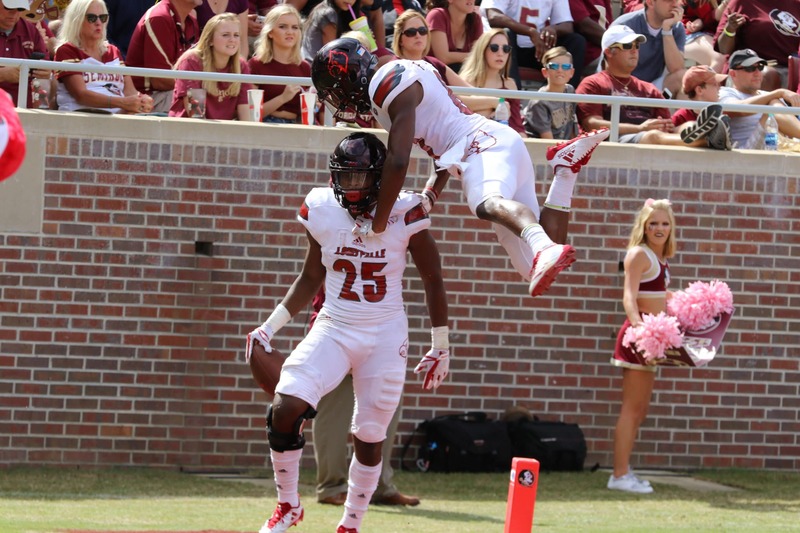 The Cardinal backfield, powered last season by 1,601 rushing yards from quarterback Lamar Jackson, find themselves in need of someone new to produce yards on the ground. Redshirt sophomore Jawon Pass is capable of running the ball at quarterback, but not as well as his predecessor. For the 2018 season, the Cards will rely on their young yet injury-prone running backs to produce a ground threat that compliments Pass’s aerial attack. 2017 stats: Appeared in six games and rushed for a total of 235 yards and three touchdowns. Williams is the most likely starter for the upcoming season, as he flashed his potential last year against Florida State. The redshirt sophomore rushed five times for a total of 41 yards, including a 25-yard touchdown run, which contributed to the Cards’ 31-28 victory in Tallahassee. The main concern for Williams is his ability to stay healthy. Last season he missed the first seven games after tearing his ACL and had a foot problem this offseason, causing him to miss a number of spring practices. 2017 stats: Played in three games before tearing his ACL against Murray State. Rushed for 69 yards, averaging 11.5 yards per carry with a long of 21 yards. Wilson, a four-star running back out of Green Cove Springs, Fla., appears to be the most likely backup for Williams this season. While his season was cut short last year, Wilson has shown what he is capable of on the field. Coming out of high school, Wilson was rated as the second best running back in the state of Florida and the No. 15 running back in the class of 2017 by Rivals.com. Wilson committed to the Cardinals over Notre Dame, Florida, North Carolina, Alabama, Auburn, Clemson, Georgia and Florida State. 2017 stats: Appeared in 11 games, rushed 21 times for 124 yards. Set a career-high with 11 rushes for 67 yards against Murray State. While Smith’s playing time was limited last season, there is no guarantee that will remain the same in 2018. With Williams and Wilson battling off-season injuries, it would be no surprise for coach Bobby Petrino to call on the hear the Mississippi-native to run the ball.